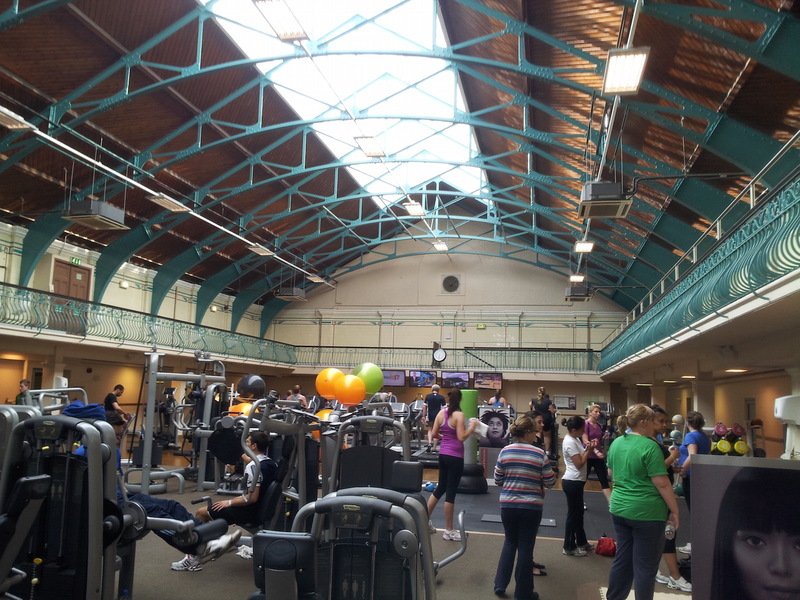 One of our large aluminium lantern roof lights in Wimbledon Leisure Centre. Instantly recognisable to anyone from that neck of the woods, this historic building has served a multitude of purposes, once public baths all the way through to a modern day gym. Our job was to replace the old leaking roof with one of our aluminium lantern roof lights. The aim was to allow as much light as possible down onto the main floor for a multi-functional space. Our job was to replace the roof with a sustainable and strong roof system on top of small windows all the way around the perimeter creating a very large atrium roof. So we planned to use one of our aluminium lantern roof lights with glazed upstands. “Glazed upstands” are really just aluminium windows running all the way around the roof beam. This effectively raises the roof up higher, increasing the amount of glass and ultimately allowing much more light into the building. So, after running it through our software, which calculated exactly how many tie bars were required in this aluminium roof light to effectively support all of the weight of the roof given wind and snow load in that particular postcode. The software we use calculates all of these parameters to ensure the roof can take the weight for many years to come. We also used Active Blue self-cleaning glass in both the glazed upstand windows as well as in the roof to help keep the glass cleaner and perhaps more importantly, make the British sky above seem more blue! This is something that has become standard in all of our aluminium lantern roof lights as well as our conservatories, orangeries and Loggias. Unsurprisingly, the installation took one of our teams the best part of two weeks and obviously all of the necessary safety equipment was required to ensure our teams’ safety. The end result is something we’re really proud to put our name to. Coupled with the solar panels across the roof, we have helped to make the Wimbledon Leisure Centre a very energy efficient one!